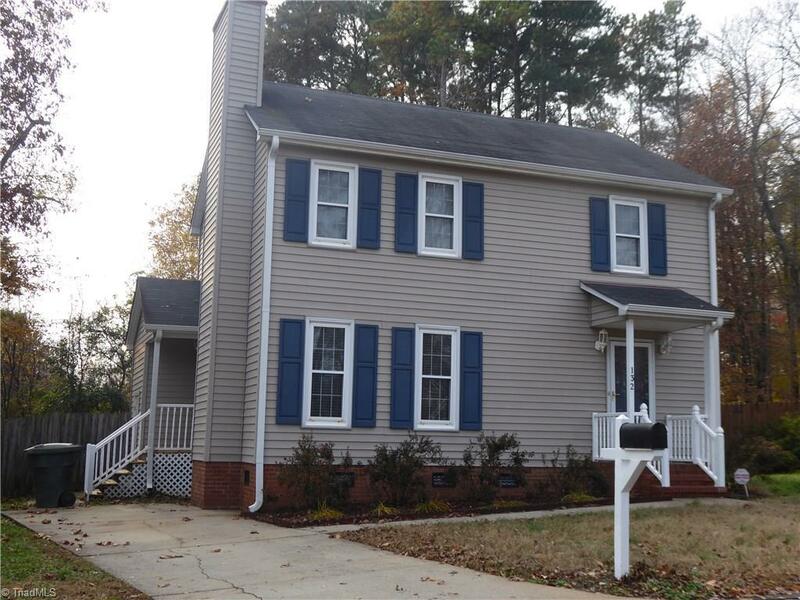 Updated 2 story traditional home located minutes from Moses Cone Memorial Hospital, Shoppes at North Elm and downtown Greensboro. Home features fireplace and crown molding in living room, laminate floors on first floor, bright and airy eat in kitchen and a formal dining room. As the new owner you can enjoy the pleasure of the screened-in porch 6 to 9 months thru out the year. All bedrooms have ceiling fans. The home is located on a cul-de-sac with a fenced in back yard and security system. Courtesy of Jacqui Graves Realty And Assoc.